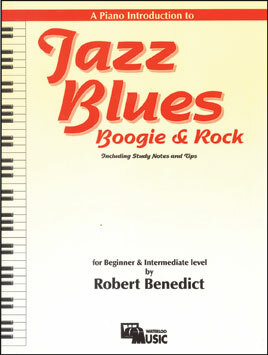 A Piano Introduction to Jazz, Blues, Boogie & Rock was written to provide students with the opportunity to develop technique while playing good arrangements of music they love. Styles range from boogie-woogie to rock, from blues and jazz to gospel. The repertoire has been combined with study notes and tips on modern harmony. Chord progressions, tags, licks, chord charts and improvisation are all offered in the key of C to encourage students to develop transposition skills. The book concludes with a delightful piano duet arrangement of "O, Canada" – sure to prove to be a crowd-pleaser at your next recital!